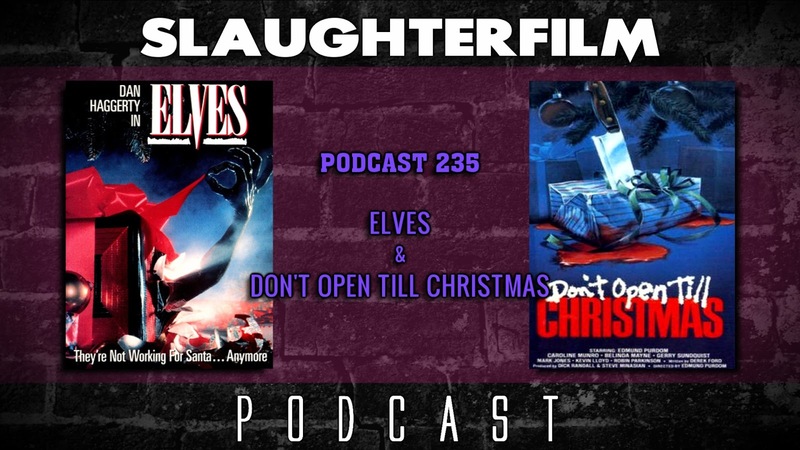 This week the Horror Duo talk cheesy holiday horror, just in time for Christmas. Forest reviews the mind blowing Elves, about a Nazi plot to bring on the Anti-Christ. Cory shares his thoughts on the Santa slaughtering Don't Open Till Christmas. Aside from visiting family for the holidays and watching MORE 2016 films to polish their best of list for the year, the guys also make time to see Star Wars: Rogue One, which they gush with excitement for. All hail this new return to the Star Wars universe...until it gets overdone and fatigued. Enjoy it while it lasts people! And with the inceptions of the worlds first blaxploitation streaming service, Brown Sugar, hey discuss the future of streaming services. All this and the Horror Duo exchange gifts. Merry Christmas and Happy Holidays everyone! For more Slaughter Film news and reviews, as well as show notes and special events, make sure to visit our website; SlaughterFilm.com. 45:44 "Don't open Till Christmas"